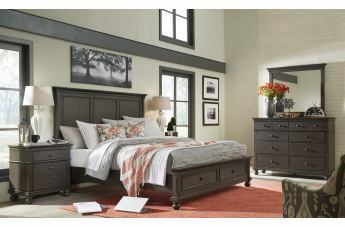 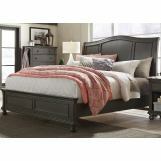 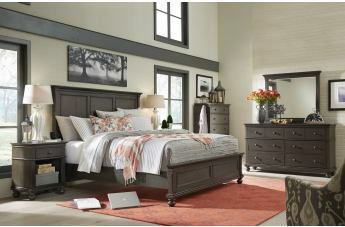 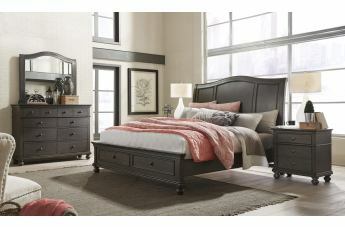 Welcome warmth and captivating charm into your bedroom with the addition of this collection. 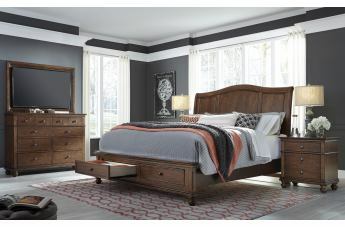 Clean defined lines, attractive panel details, classic bun feet and simple knob hardware create the perfect balance of contemporary and traditional style. 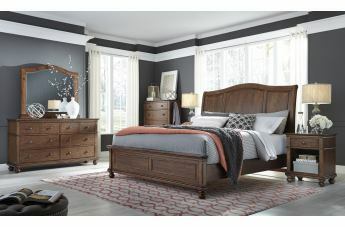 Available in a dark peppercorn or rich whiskey brown finish, each color option captures the natural wood grain of the cherry veneers beautifully. 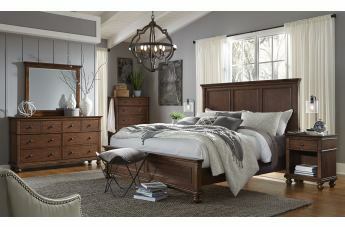 This collection was built with a focus on functionality with various pieces featuring USB ports, AC outlets, cedar and felt-lined drawers, removable shelves and clothing rods. 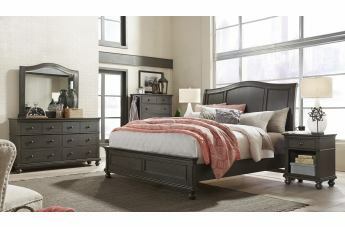 By offering a variety of storage options and bed types, you won't find it difficult to find the perfect piece to fit your lifestyle.